Apple TV, including the new Apple TV and Apple TV 3, 2, 1, gives you access to the best content — blockbuster movies, TV shows, sports, your music and photos and more — right on your HDTV. You can even play content from your iOS device or Mac on your TV wirelessly using AirPlay. 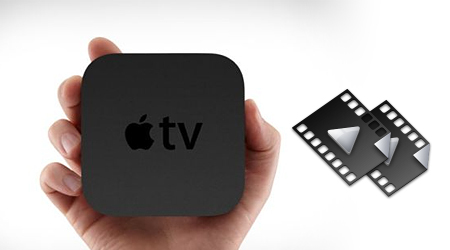 For better movie entertainment on Apple TV, knowing clearly the best format supported by the new Apple TV and Apple TV 3, 2, 1 will be important. How to make all videos played on Apple TV 4, 3, 2, 1? For those videos, whose formats are not in he chart, how can you make them to be played on the new Apple TV and Apple TV 3, 2, 1? Here is a useful and easy way to solve the probelm. 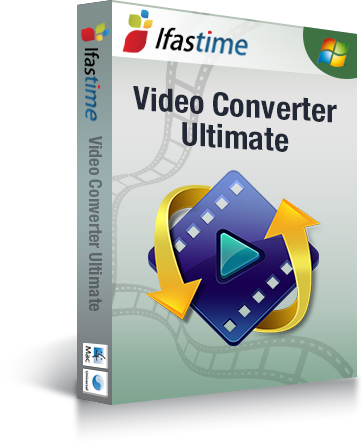 You can use iFastime Video Converter Ultimate to convert the videos not supported by the new Apple TV and Apple TV 3, 2, 1 like Blu-ray/DVD, H.265, Tivo, MKV, AVI and other videos to Apple TV supported MP4, MOV, M4V video. Mac users should turn to Mac verison. 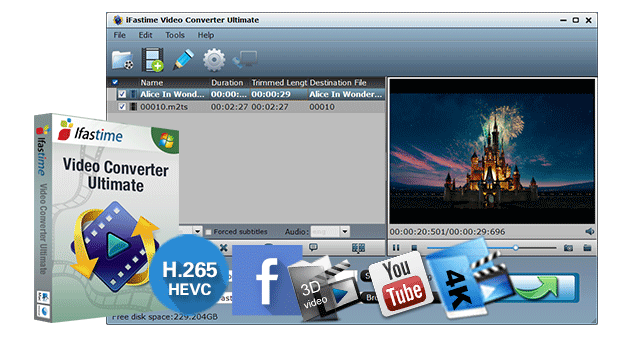 This program can accept all kinds of videos, including copy-protected Blu-ray/DVD, unsupported SD, HD, 2K and 4K video file and output Apple TV supported MP4, MOV, M4V format and H.265, M3U8, MKV, AVI, FLV, etc, with high video quality. In profile settings window, it allows you to reset the video frame rate, size, codec and audio size, codec, sample rate to get better video playback on the new Apple TV and Apple TV 3, 2, 1. It still can decode Blu-ray/DVD, MP4, Tivo, etc to iPhone 6S (Plus), iPad Pro, iPad Air, QuickTime. Which Formats Are Compatible With iPhone? Pretty element of content. I just stumbled upon your website and in accession capital to claim that I get actually loved account your weblog posts. Anyway I will be subscribing in your augment or even I success you access persistently quickly.